Preheat the oven to 150 degree centigrade. 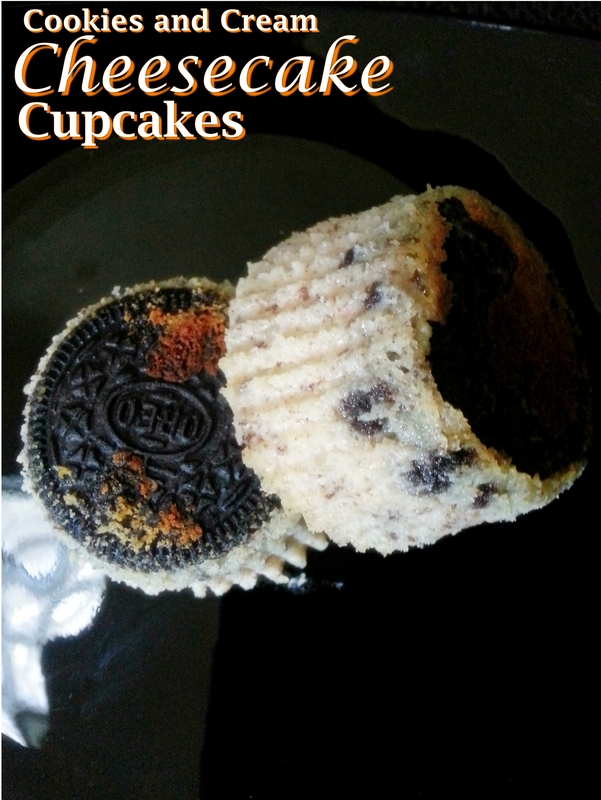 Line 20 muffin cups with paper liners and place one Oreo in the bottom centre of each of the 20 cups, set aside.Chop the remaining 8 Oreo cookies into small pieces and set aside.In a mixing bowl, using an electric hand mixer whip together cream cheese and sugar on medium speed until smooth , about 1 minute. Blend in the eggs. In a microwave safe bowl, combine together the white chocolate chips and cream and heat mixture on 50% power in 30 second intervals, stirring after each interval until melted and smooth. Pour the white chocolate and cream mixture into cream cheese mixture along with vanilla extract and mix well until combined. Tap your bowl forcefully against the counter top a few times to release some of the large air bubbles in the cheese cake mixture. 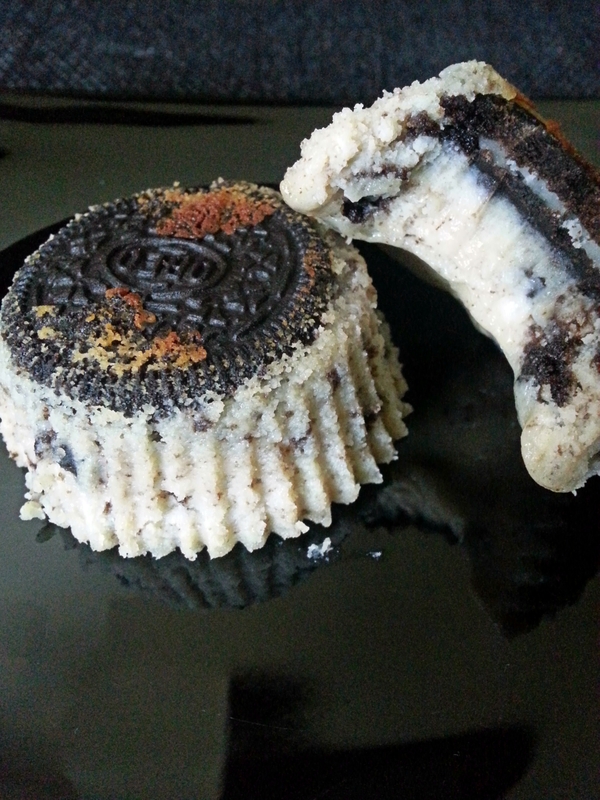 Now fold in the chopped Oreos. 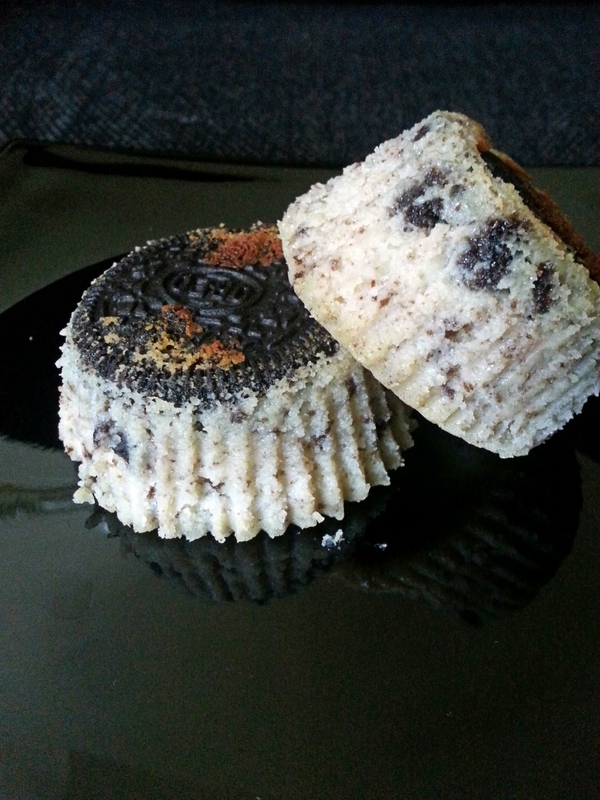 Divide mixture among 20 muffin cups right over the top of each Oreo, filling each cup to the top . Bake in preheated oven for about 20 minutes, or until the filling is set. Remove from the oven and allow the cupcakes to rest in muffin tins for 10-15 minutes before transferring to a wire rack to cool completely for an hour, then transfer to an airtight container, keep them in a single layer and refrigerate for 4 hours or overnight. Store cupcakes in refrigerator and serve chilled. The cupcakes after they cool will fall in the middle so do not worry its hardly anything they still taste delicious ( as long as they don’t fall a lot ),that is why i filled my cupcakes to the brim the only sad part was i only got 17 cupcakes instead of 20 , but i am glad that i filled them to the hilt even when they fell in the middle they looked substantial. The presentation is awesome, Maulshri. I’m not surprised these disappeared so fast!